Thank you for showing interest in our Watch Phone. We know that you have many questions regarding it, so we listed out some of the questions we get every now and then. Read on to learn more. How to ensure charging on WatchPhone S1? Charging icon appears for WatchPhone S1 when it is put on charging, the screen will blank out to save battery and WatchPhone S1 appears to be locked. To ensure that it is charging, simply tab the power button to unlock the WatchPhone S1. No. The WatchPhone cannot be submerged in water or used in a shower. However, it is rated to be splash proof which means it is safe to run it under the tap or use it for sports. Yes, the watch phone does have Wifi capabilities. However, it cannot be accessed by the users to substitute 3G network. The Wifi is used by the WatchPhone to accurately detect location while indoor. What SIM cards does it work with? The WatchPhone only works with MicroSim card. If you have a NanoSim or Normal Sim card, it can also be fitted in as long as if you use an adaptor. What SIM card plans should I use? That will depend on you. If you require calling your child, then get a data SIM card with call minutes in it. If you only require voice messaging or looking at where your child is via our GPS function and do not require calling, a data only card will be sufficient. What network does it work with? Only 3G network is compatible. If your Sim card has both 3G and 4G, the WatchPhone will automatically connect to the 3G network. However, if your Sim card only has 4G network, the WatchPhone will not be able to function as intended. Please check with your service provider to verify. Note: It does not support 4G/ LTE. What is the supported GSM band? Our WatchPhone supports the following 2G GSM bands: 900/ 1800/ 850/ 1900MHz. Supported 3G WCDMA band: 2100MHz. Do check with your telephone company if they are on the supported bandwidth. 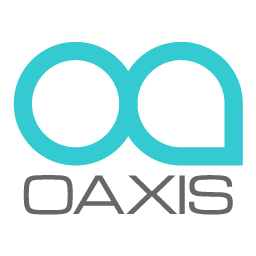 Oaxis will not be held responsible for any subscription fees or charges incurred due to wrong SIM card subscription taken up. Parents are urged to check with their local telco or SIM provider if they can support the Watch Phone. How is it a fitness device? Technological advancement means kids are using tablets and mobile phones more which leads to more sitting. We want to keep them active while helping them embrace technology. To do so, we have applied a step counter function within the WatchPhone. With a reward system, we may have found the perfect formula to encourage kids to cultivate a healthy lifestyle. Parents are able to remotely monitor and set goals for your child via our mobile phone App. How does the SOS button work? In times of emergency, it is crucial to be able to respond to it immediately. That is why we have prioritized a dedicated button for an emergency. By pressing onto the bottom right button, the emergency SOS is activated. A 30 second voice recording will be sent to the linked mobile phones and an SOS alarm will sound off. Geofencing is a way of setting a boundary. You can set a perimeter to any location and if they wander outside that boundary it will notify you immediately. It's all about safety. To do so, go to the Watch Phone app > Settings > Alert Area > Add Alert Area > Pick any location that you consider to be safe > Put a distance range > and click Save. The messaging system is a unique communication program developed by our own computer engineers. It allows a child to simply speak into the watch and send a voice message to any device at no additional charge. It's a way of communication to help foster bond between parents and child. It also teaches responsibility by instilling the virtue of regular updates. The messaging function can also send specially designed emoticons which quickly and accurately reflect an emotion. Can I call the WatchPhone and speak in real-time? Yes, provided that the SIM card that you are using have call minutes on it. You can call and message the watch just like calling any mobile phone The Watch Phone is encrypted for security by only allowing registered numbers to call through the WatchPhone. Can my child call their friends? Yes, they can call any number that you have added and approved to the watches phone book through the app. Once they add a new friend, a message will pop up and you will be notified. However, they cannot add a number; call a number that you have not authorized in the app. Once you have whitelisted a number, they can call and send voice messages to their friends. Calls are charged at standard rates, however our unique voice messaging system allows your child to simply send a voice message at no charge to any device anywhere. How easy is it to set-up to use? Once you switch on the WatchPhone and downloaded the dedicated app on either iOS or Android, it is easy to set up. Simply scan the QR code in the Watch Phone when you first power it on. To access the QR code on the WatchPhone, Swipe to the left most icon named Device. Click Device > Scroll down twice to see the QR code. Next, open the WatchPhone App on your smart phone. Click the '+' button in the top right corner > Click on Scan QR Code. You are now paired. Where do I enter the invitation code that my wife/ husband sent out? If the parent sent out an invitation, you will receive an SMS. The invitation code is at the middle of the SMS, right before the link to download the app. Once you downloaded the app, register yourself in the app. In the app, there will be a plus and circle sign at the top right hand corner. Scroll down to "Enter Code" where you fill in the invitation code SMS-ed to you. Alternatively, you may "Add Contact" by entering the name and the phone number of your family member. How can I track my child's location? The WatchPhone location tracking works via its inbuilt GPS and Wifi. It is accurate to 10m while indoor and 30m while outdoor. The WatchPhone automatically lock onto any available wifi and derive its location. You do not need to manually connect to the Wifi band. You can decide how often you want to location updates duration based on your preference. How do I appoint another smart phone as the admin phone? Only the nominated admin phone will have access to more features due to security reasons. To nominate another mobile phone, the current admin phone will have to be unpaired first. Open WatchPhone App > Settings > Unbind. How do I reset the Watch Phone? By simply unbinding the WatchPhone from the admin/ parent watch, it will automatically reset all the settings and information on the Watch Phone. If unbinding does not work, email in to hello@oaxis.com with your Watch Phone's IMEI number and tell us how can we help you. Simply restart the WatchPhone by holding onto the power button. Once it is restarted, scan the QR with your smartphone immediately. Why is this happening? When the QR code is first displayed, WatchPhone simultaneously establish a connection to the internet to prepare for the pairing via QR code. After a certain period, the internet connection is dropped which is why the QR code stays on screen even after you have scanned it with your WatchPhone app.